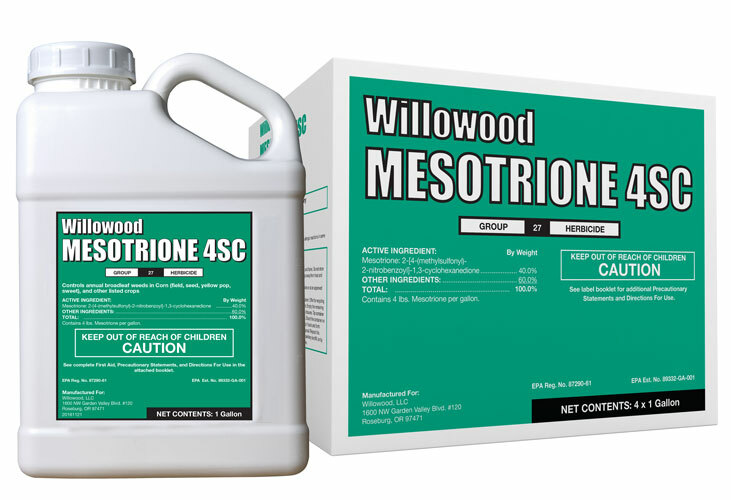 Willowood Mesotrione 4SC is an excellent contact and residual herbicide used for the control of broadleaf weeds in field corn, seed corn, yellow popcorn, sweet corn and other labeled crops. Willowood Mesotrione 4SC provides excellent crop safety, multiple tank-mix options and flexibility in application timing. Contains 4 lbs. Mesotrione per gallon. CALLISTO® is a registered trademark of Syngenta Group Company.